Pop up, retractable banners w/carrying case, pre-installed in lightweight aluminum frame. These banners are retractable and pop up. 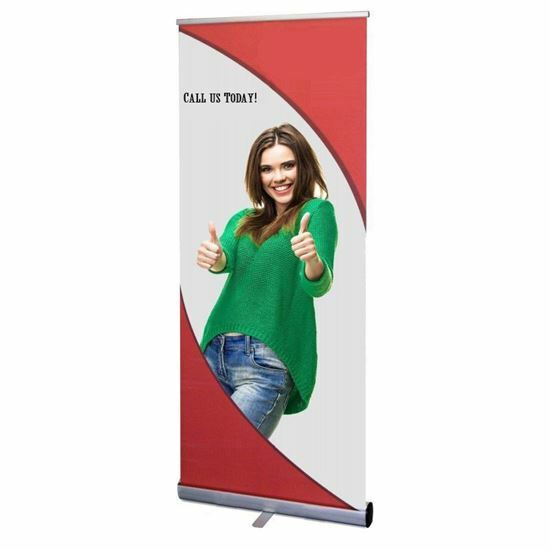 They are ideal for trade shows or for banners "on the go". There is no assembly required. They come pre-installed in an aluminum frame and come with a convenient nylon carrying case. Our banners are UV/Water resistant. Dimensions are 31.5" wide x 78.5" tall.